1/2 cup + 1 tablespoon (Pam, add water about 1 tablespoon if the meat is dry). - Sift the dry ingredients all at once into a colander (a mixing bowl). Then add water to soften them. You are supposed to continue the softening grind well until it turns smooth and sticky. - Set a hot pan (For maintenance of quality it is recommend to use a Teflon pan. For now, it will burn the pan before) Knead the dough into a ball about the size of a ping pong ball. 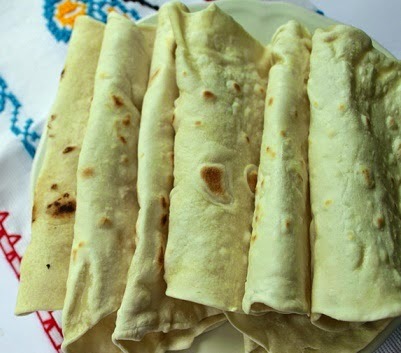 Then, using a wooden roller, roll the dough into a thin sheet of circular shape (It might be a bit difficult for the beginners but practice makes a man perfect). - Remove the frying pan (no oil), as well as inflatable side air bubbles in the dough. Turn the dough to the other side and fry until cooked.